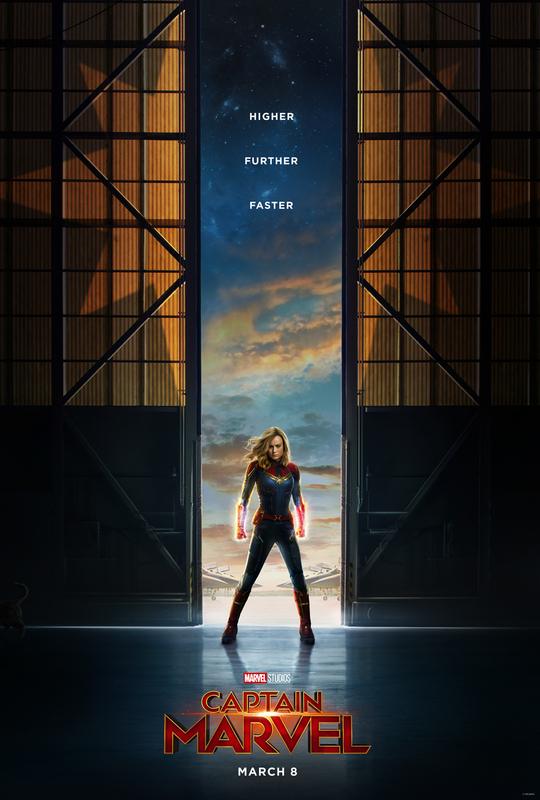 Marvel Studios has released the first look at Captain Marvel, the first female-led flick in the Marvel Cinematic Universe. 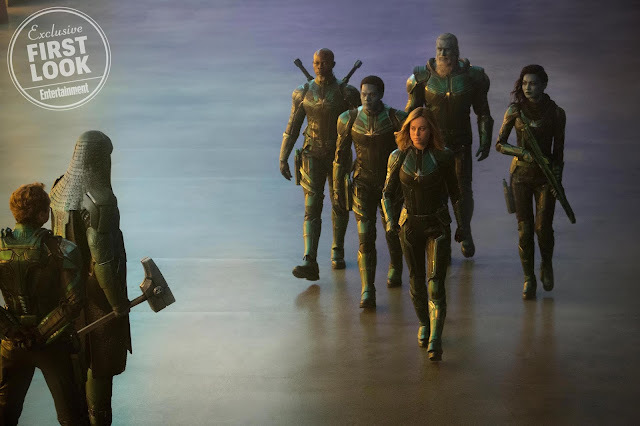 There have been about eight different characters known as Captain Marvel over the years, but the movie will follow the Carol Danvers storyline who first appeared in the comics in 1968. In the comics, Danvers was an Air Force pilot and CIA agent recruited by NASA and more specifically, by Dr. Philip Lawson, with whom she struck up a romantic relationship before learning of his true identity of Mahr Vehl from the alien race known as the Kree or the race of blue aliens we first saw in 2014's Guardians of the Galaxy. Mahr Vehl blocks an explosion causing his genetic template to meld with Danvers' DNA turning her into Ms. Marvel. It wouldn't be until July of 2012 though that Danvers would take on the mantle of Captain Marvel after Mahr Vehl dies (spoiler alert!). 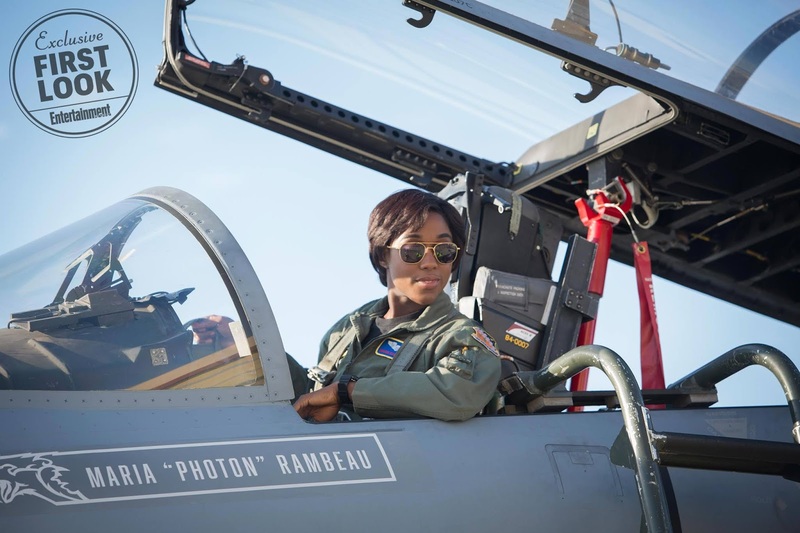 Described as the most powerful super in the MCU (maybe even more so than Thanos) Captain Marvel has super strength, tons of military training, absorbs energy and returns the blasts from her fists as well as being able to fly six times faster than the speed of sound. This is all without mentioning the fact she apparently has a seventh sense that allows her to subconsciously anticipate the moves of her opponents and to connect with the cosmos. This cavalcade of powers will no doubt come in hand as the character's first film will be set in the nineties and deal with the ongoing galactic war between the Kree and the Skrull-a race of extraterrestrial shapeshifters. 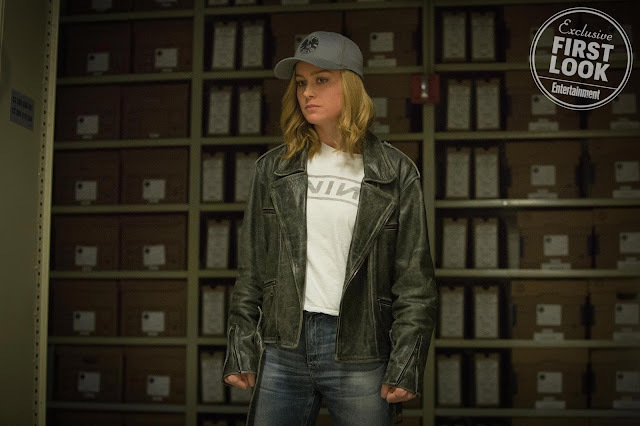 In the film, Brie Larson (Room, Kong: Skull Island) plays the titular character while Jude Law will appear as Lawson. 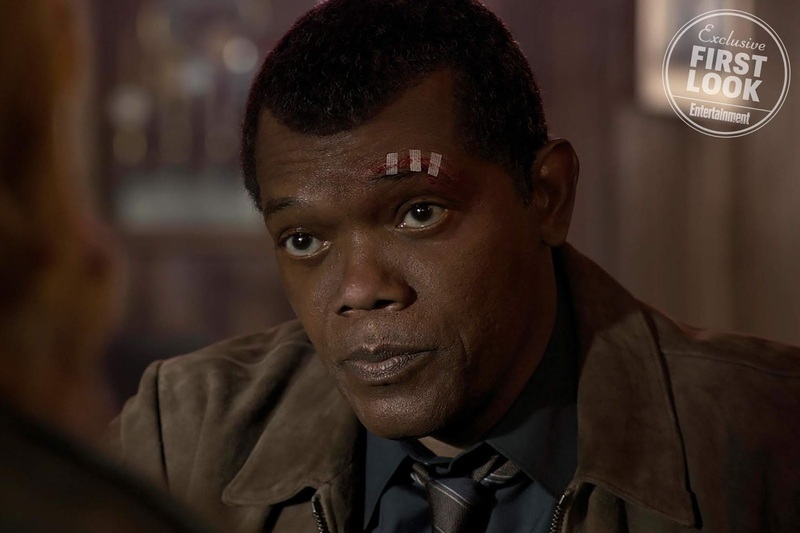 Samuel L. Jackson will return as a younger Nicky Fury and Clark Gregg will be back as Agent Coulson. 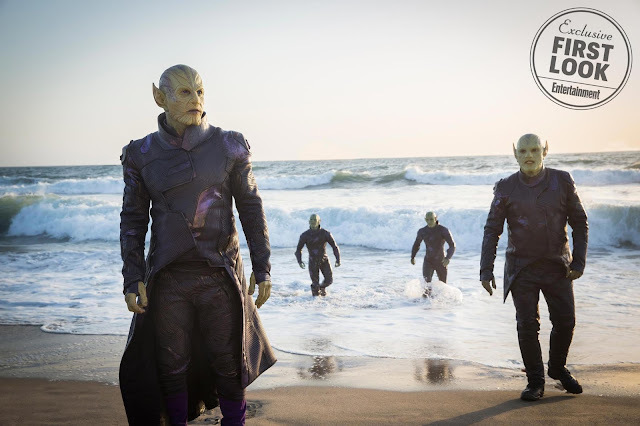 Lee Pace and Djimon Hounsou will also reprise their Guardians of the Galaxy roles as they are Kree warriors. Anna Boden and Ryan Fleck (Half Nelson, It's Kind of a Funny Story, Mississippi Grind) were tapped to write and direct and while the screenplay is credited to both Boden, Fleck, and a host of other writers including Liz Flahive (GLOW), Meg LeFauve (Inside Out), Carly Mensch (Weeds, Nurse Jackie), Nicole Perlman (Guardians of the Galaxy), and Geneva Robertson-Dworet (2018's Tomb Raider). And while this will largely be our introduction to Danvers if not your typical origin story it still has the responsibility of clearing up where Captain Marvel has been this entire time and how the character will play into Avengers 4. Needless to say, Boden and Fleck have their work cut out for them, but if the MCU train and this trailer are any indication, it doesn't seem the MCU will be getting off track anytime soon. 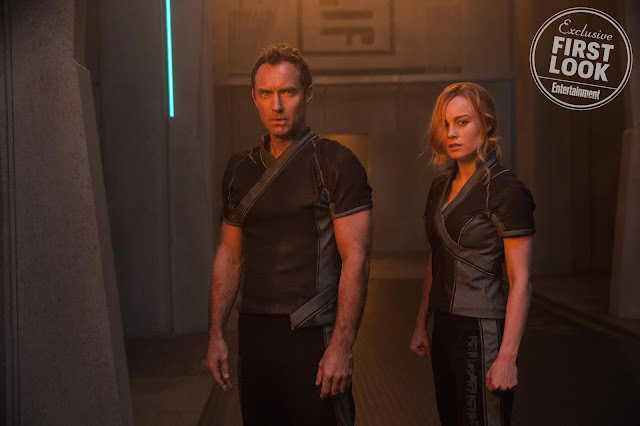 Captain Marvel also stars Gemma Chan, Ben Mendelsohn, McKenna Grace, Annette Bening, Pete Ploszek, and opens on March 8th, 2019.